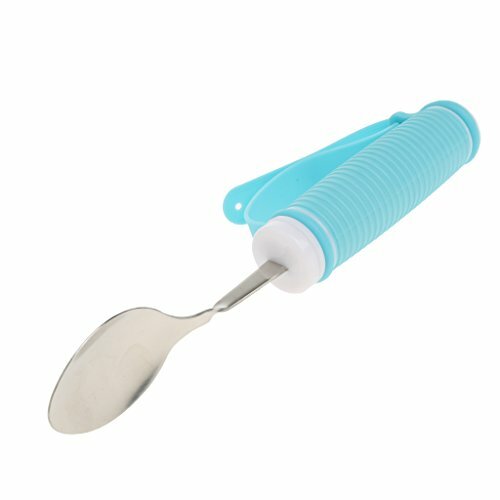 - 360° rotating tablespoon with comfortable and soft grip for more convenient food position. - The Spoon is made of food-grade hiagh quality stainless steel ,non-toxic, no odor. - Adjustable strap, free regulation of tightness, easy to wear. Adjustable strap, free regulation of tightness, easy to wear. 360° rotating tablespoon with comfortable and soft grip for more convenient food position. The Spoon is made of food-grade hiagh quality stainless steel ,non-toxic, no odor.